Early on the morning of Monday, July 24th, I walked over to the area near the Fort Worden boat launch by the Port Townsend Marine Science Center, blocked off with “caution” tape wrapped around the curly ends of driftwood to form a jagged semi-circle. It was my third morning checking the spot. 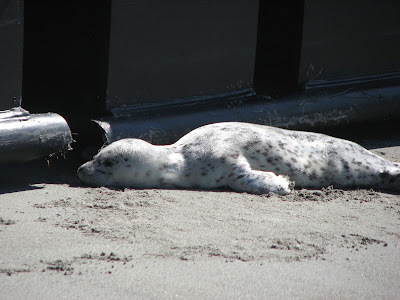 The harbor seal pup was still there, lounging in the sunshine, but noticeably thinner and lethargic. 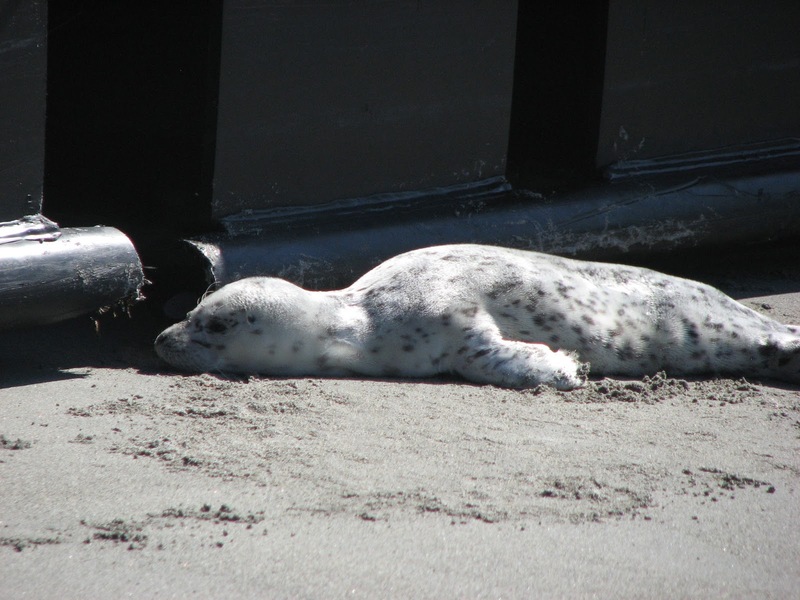 Although harbor seals used to be hunted, following the Marine Mammal Protection Act in 1972, seal populations in Puget Sound rebounded. 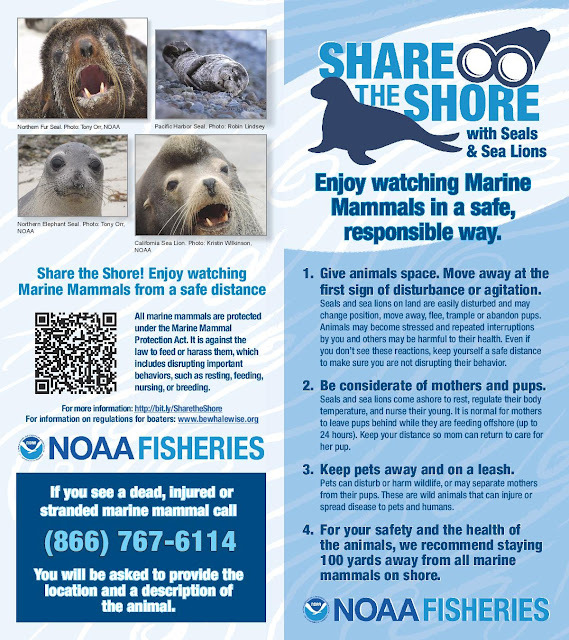 Populations are now at a healthy level, but seals are still protected by NOAA. 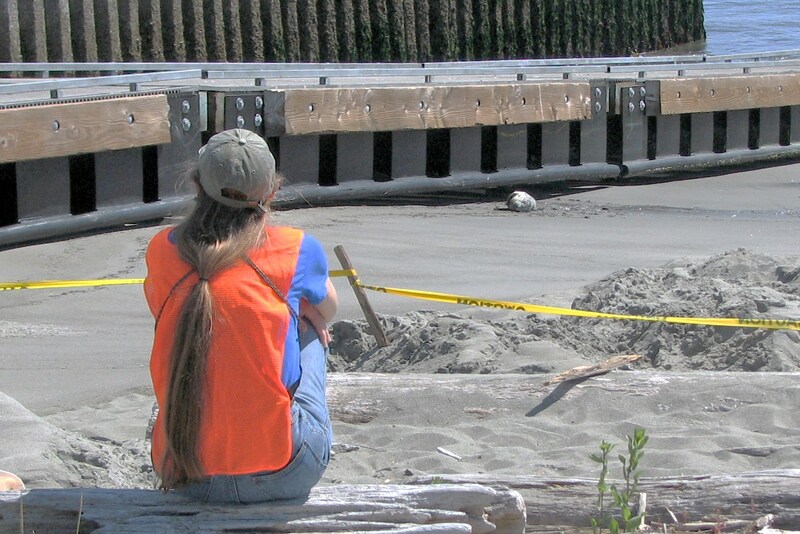 That’s because a seal that is beached on shore is considered “stranded,” and needs protection from human disturbance. 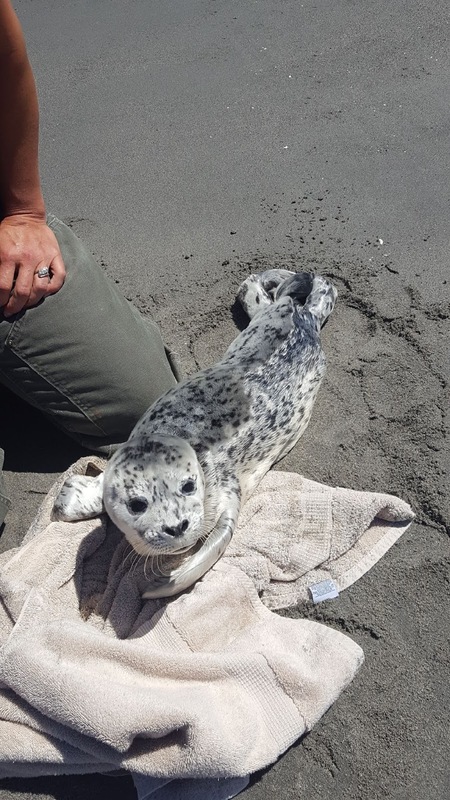 Because the seal was becoming emaciated, a NOAA-certified veterinarian from Center Valley Animal Rescue was called to come out and make an assessment. As I sat on the beach watching the pup that afternoon, I was preparing for the likelihood that the seal would need to be humanely euthanized. 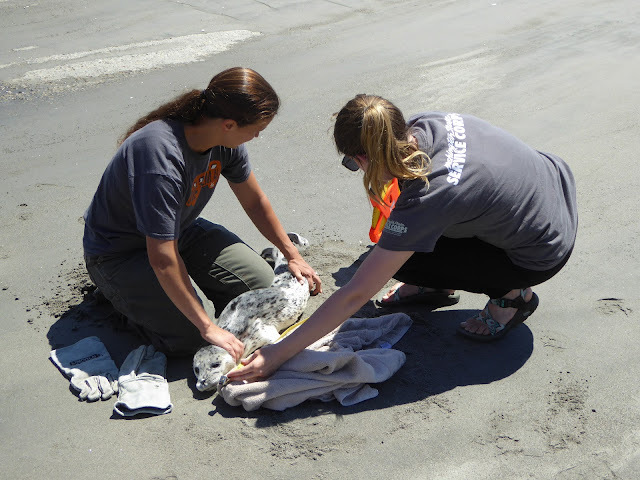 The reality is that only 50 percent of seal pups make it in the wild, and very young pups are hard to rehabilitate. Sara the vet (left) and Brooke (right) measuring the 3 foot long pup during the health assessment. Happily, it was determined that the one-week-old-pup could be transferred to a rehabilitation center, if we acted fast. It was feisty and trying to nurse on everything while the vet was assessing it and giving it fluids. We got the go-ahead from NOAA to remove the pup from the stressful environment near the boat ramp and take it to the PAWS rehabilitation center in Lynwood that same afternoon. 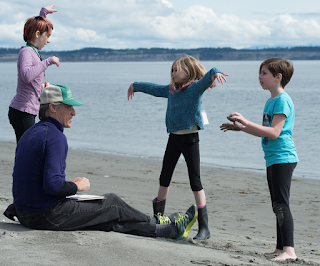 We keep a record of every stranded marine mammal by assigning them a number. This pup was #007. 007 was transported sleuth-like in a well-ventilated dog crate in PTMSC Citizen Science Coordinator Betsy Carlson’s van, as she and PTMSC Aquarist Ali Redman transported our agent -- I mean, pup -- across the ferry and to PAWS. 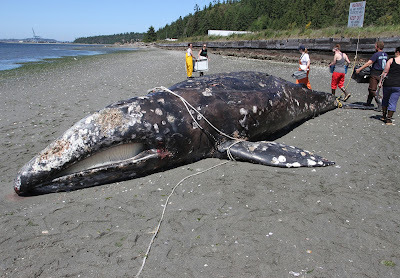 Sadly, we received news through NOAA that 007 passed away a few weeks after arrival. Although we are grieving, we also know that 007 lived its remaining days in a much better environment, with other pups to play with and receiving excellent care until the end. We also take comfort knowing that without the MMSN, 007 would have remained in a much more stressful environment, and without the protections of passionate volunteers. 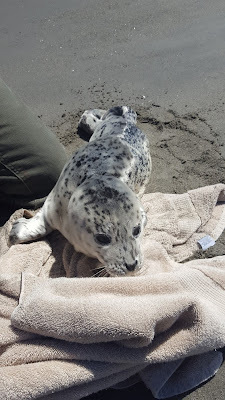 The PTMSC is grateful to seal pup 007 for allowing us the opportunity to educate the public about marine mammals and filling us with hope after seeing the amount of compassion people can have for a tiny stranded seal on the beach. PTMSC extends a huge thank you to the people who helped protect 007: The many volunteers and staff members who pup-sat and provided an educational experience for the public; the Fort Worden State Park Rangers who helped block off the area; Center Valley Animal Rescue and PAWS for their heroic work in rescuing animals; NOAA for making protections possible; and the many members of the public who decided to be respectful of the pup’s space by keeping their distance, keeping their dogs on leash, and choosing to learn about marine mammal strandings. Because of you, our story with 007 was a positive experience, and one that we can continue to learn from. What should you do if you think you’ve found a stranded marine mammal near Port Townsend? Call our stranding network! (360) 365-5582 ext. 103, or call 1-866-767-8114 for the Hotline for the entire west coast. Read HERE and HERE for more info. Interested in becoming a citizen science volunteer for our Marine Mammal Stranding Network? Contact volunteer@ptmsc.org. The Washington State Parks and Recreation Commission acquired most of Fort Worden in the early 1970s and Fort Worden State Park officially opened on August 18, 1973. Although neither Judy D’Amore nor Libby Palmer had ever been inside the wooden building on the Fort Worden pier, they knew that it had been used to off-load equipment from ships to supply the fort’s bunkers during the Korean War.